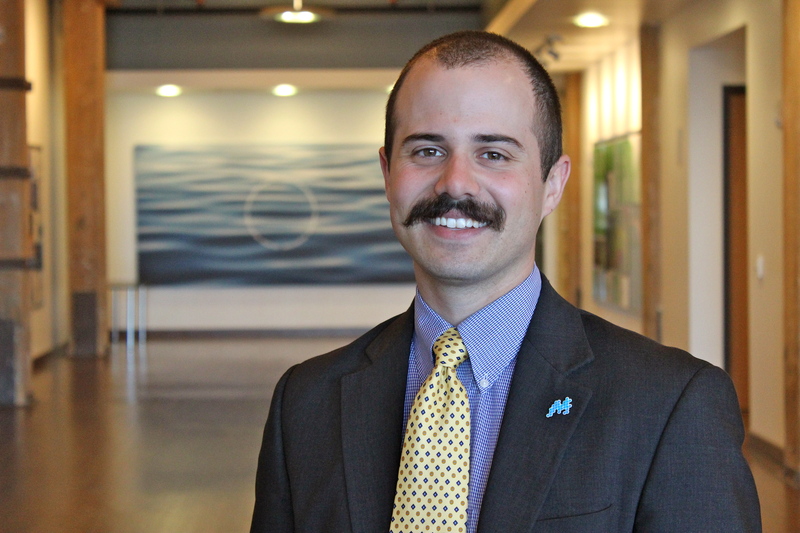 Ryan Matthews started with The Water Council in 2011 as an intern. After graduation from UW-Milwaukee that position transitioned to a development coordinator, where he assisted with grant funding and communications to The Council’s membership. As our staff continues to grow quickly, we are happy to announce Ryan as our new Multimedia Specialist, responsible for tech-based programming for The Water Council, and the Global Water Center. What initially drew you to The Water Council? I was hired as an intern after Water Summit 2011. I still recall the palpable energy in the staff and Water Council members as bonds were created through shared values and interests. Many of my UW-Milwaukee classmates were doing agency work at the time, and I was attracted to that creativity. Working for The Water Council afforded the variability and excitement of agency work with the added bonus that its members are distinctly interested in working together and creating partnerships. The Milwaukee water cluster to date commands 4% of the global market share in water technology, so the work that we do to coalesce those bonds is of high importance. What do you most enjoy about your work with The Water Council? I love telling stories. I often talk about the history of Walker’s Point when I give tours. Like our Global Water Center, many of the surrounding buildings used to be warehouses, factories and foundries. My great grandfather, Salvatore Manera, was an Italian immigrant who worked in one of those foundries. A century later, I’m back in the neighborhood working alongside water-technology companies that help solve global freshwater issues. That’s what I enjoy about our work; even though The Water Council is still young, we’re making history. As a Multimedia Specialist, I get to help tell that story over several different platforms. The Council has experienced much growth since you began. ​What are you most excited about with your new position? There was a tangible change that occurred when we moved into the Global Water Center. Instead of seeing some members only four times a year, we now see members and tenants daily and have a much greater capacity for holding events. Whether with my camera or via social media, I get to document activities so that I can tell the world about our rock star members. I get to show both international visitors and followers on Twitter why they won’t find this kind of unique public/private initiative anywhere else in the world. Ryan graduated from the University of Wisconsin-Milwaukee in 2012. He received a B.A. in Journalism, Advertising and Media Studies with a Certificate in Digital Arts & Culture. During his senior year, he worked for The Water Council as an intern handling website management and blogging. Prior to The Water Council, Ryan worked for The Johnson Foundation at Wingspread, a world-class conference center that catalyzes environmental and community-based solutions. This entry was posted in Uncategorized and tagged Ryan Matthews. Bookmark the permalink.